After a manic rush through London Victoria station to find Platform One, you are confronted with the Venice Simplon-Orient-Express check in desk and transported to a world of luxury, glamour and taken back in time. There’s no better way to travel to Paris than this. 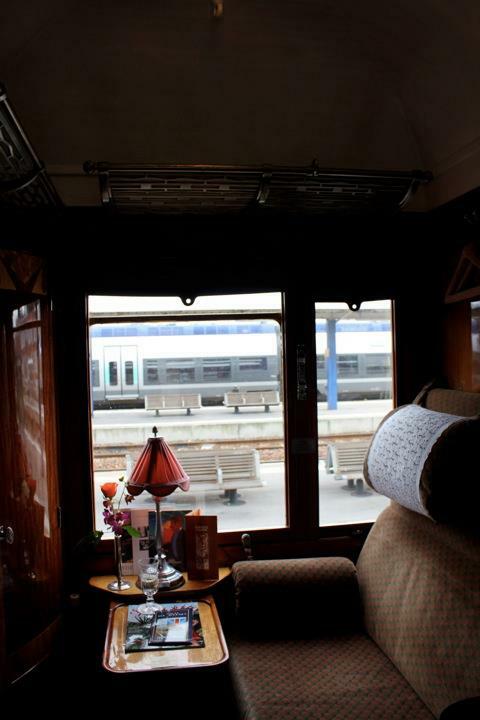 Once checking in our bags were taken to meet us upon the Venice Simplon-Orient-Express in Calais. My excitement was building every second, especially as The British Pullman pulls into the station ready for the first leg of our journey, listen out, you can hear it long before you can see it. 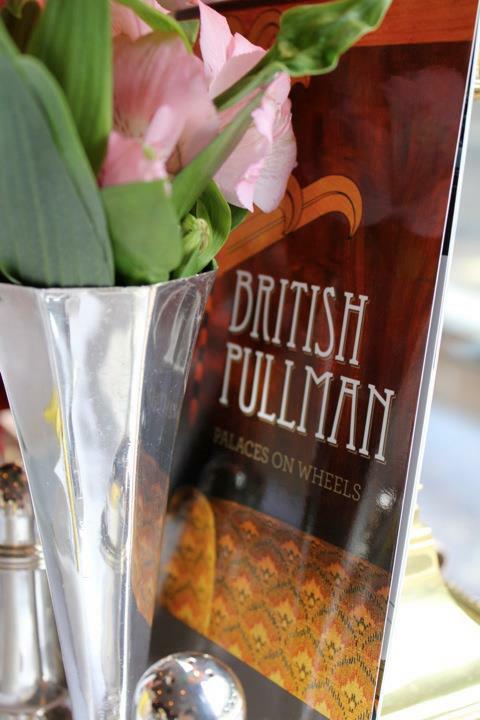 Seated in vintage carriages that once ran on legendary 1920s services such as the Brighton Belle and Golden Arrow, you are surrounded by a world of pure indulgence, and your handbook will tell you all about the history in which you seated upon. We were lucky enough to be seated in the same carriage that Winston Churchill made his last journey in. The exquisite lunch begins with Prosecco, a cup of coffee, and a very warm welcome from your waiter for your journey. Followed by a small fresh fruit salad with yogurt, when the food is served it’s done with flair, and superb service. Next placed infront of us, item by item, was an English Muffin, Scrambled Egg, Salmon, Mushrooms and Caviar. The brunch of a king more like, as this was topped off with an Apricot Tart! By the time you have filled your stomach with delights, and taken in the sights of the stunning English coastline, it’s time to be transported across the water in readiness for the Orient Express. We left The British Pullman with pure excitement for what was to come, but disappointed we couldn’t have spent longer on there. Stepping onto the Orient Express in Calais, with help from our Cabin Steward, we were transported back in time once again. Our room was divine and not before long our glasses were filled with Prosecco, and we were aware of how the room worked. Of course our bags were ready and waiting for us. The hidden miniature bathroom was divine, the sofa the comfiest we’ve sat on, and the staff exceeding expectations; this would be one leg of a trip we wouldn’t be forgetting in a hurry. After reading the entire in cabin information you are aware of how incredible this steam train is, pretty much one of a kind in this day and age. It was certainly in need of exploring to find the Bar Car, and where we would be having our eagerly awaited dinner, as there is more than one restaurant onboard. The décor of the train had me waiting for Hercule Poirot to appear any second, and be on his way to solving another great mystery, but alas, he didn’t and it was time to return to our cabin to dress for dinner. 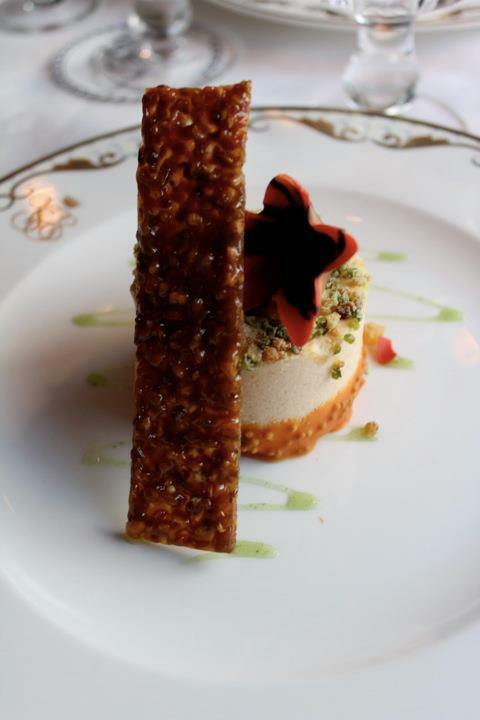 Once dressed in our refineries, we made our way to dine in true style and glamour. 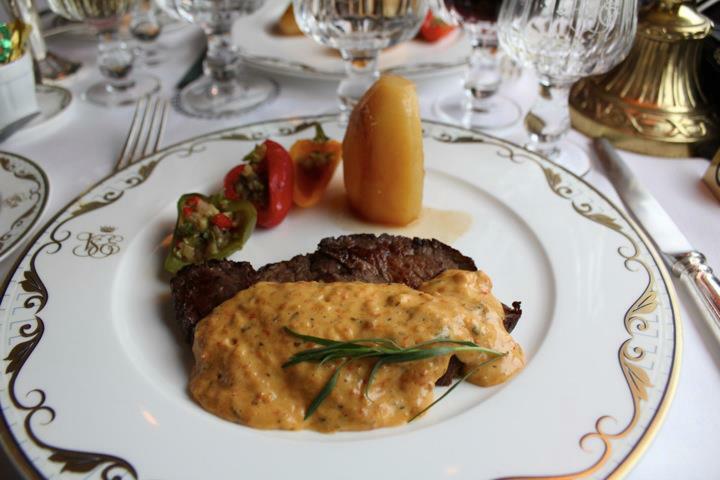 Dinner was simply divine and prepared by the train’s highly skilled French chefs, with the finest ingredients taken onboard during the journey. Our four courses began with Alaskan Crab with Soya Dressing, Avacado Tartare and Wasabi Mayonaise, followed by the outstanding Grilled Charolaise beef with sun dried tomato Béarnaise sauce, small belly peppers filled with Ratatouille, and fondant potato. We were then served a selection of the finest Cheese, you wouldn’t expect less in France, and then an Iced confit apricot soufflé flavoured with Pistachios. There was then a short amount of time left to head over to the bar car, and sample a few of the flavoursome cocktails. Before we knew it, it was time to pack up our bags and head on into the depths of the hustle and bustle of a Friday night in Paris and leave living the dream on the Orient Express behind. Disclaimer: This was offered to me by their lovely PR team.